Give customers the help they need with a question and answer interface built right into your product pages. Also great for search engine visibility (SEO), it’s never been easier to manage product FAQs and answer customers’ questions directly. Even with plenty of great product information, customers may have additional questions or need help with unique product applications. The Frequently Asked Questions/Question & Answer add-on from Compunix is a simple and versatile solution to connect with your customers and respond to their product-related inquiries directly, right on the relevant product page. This add-on lets you quickly and easily create an unlimited number of product-specific FAQs and makes managing questions for any particular product easy. Simply log in as an administrator to answer, delete and manage questions directly from the relevant product page. Questions can even be edited to improve clarity and make both questions and responses more useful for other customers. With each question asked and answered, you’re not only creating a stronger FAQ, but a product-specific forum to interact with your customers and improve credibility. 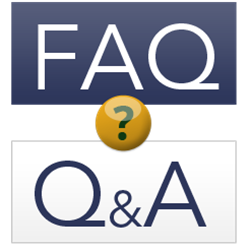 The FAQ/Q&A add-on is also a simple tool to improve search engine (SEO) visibility with additional keywords and frequently updated content. In addition to eye-catching shadowbox effects, this add-on includes full CSS control for custom styling to match the look of your site. Response:I just tested in Firefox and a popup window (in the middle of the dim screen) did show for me. What version of Firefox are you on? Can you try in IE or Chrome? It should be ok in all browsers. Response:As you can see, the account users 3 questions along with each response appear as multiple levels.